Click on the above image to read the full review. I can’t smell stuffs. I don’t know why, but I simply can’t. Specialists and experts belonging to the medical fraternity have given this lack-of-sense-of-smell a weird name. I don’t remember now; I do not want to remember. It depresses me. It hurts me. I have been subjected to the lamest of jokes in schools, with my fellow classmates and ‘friends’ making a mockery of my plight. I was nicknamed Trash Bin. I didn't know the smell of freshly cooked Maggi, neither of stale egg, and that, in school, tormented me. Whenever any of my friends didn't like the food in their tiffin, or the contents had decayed, I was offered the food, and my unsuspecting mind gobbled them up with full satisfaction. It was only the next day when my stomach realized the pain and I was swept into hours of frenzied horror. Smell and taste were the sense perceptions I lacked, and I so often missed their beauty. I remembered having gone to the market last week, and one of my purchases included a room freshener. I reminded her of the same. And then it struck me. 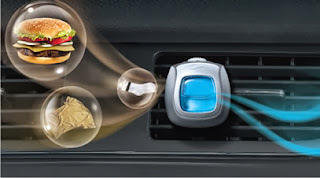 I have been using a car since the last three years, but had never resorted to the fragrance emitting devices that are so popular in the market nowadays. The reason was obvious. My numb nose wouldn't feel the sweet perfume, and thus I found such a device futile. However, for the sake of marital harmony, I had to now attach the device in my car. I started surfing the net, checking the prices of numerous car fresheners that flooded the market, but the high number of options confused me further. As always, Indiblogger came to my rescue. I chanced upon the Ambi Pur Contest that provided the participants with an Ambi Pur MiniVent Clip, and invited the users to write their experiences. I thought, “Wow! Why not.” I quickly requested for a sample and updated my details in the page. A few days later, the sample arrived. I was at home then, and the courier guy delivered it right into my palms. I placed the package on the table, and started unwrapping it. Soon, the much awaited device came out. “This is so cute!” my wife remarked. What should I say now? She had never used those words for me, and for a moment, I did feel jealous. 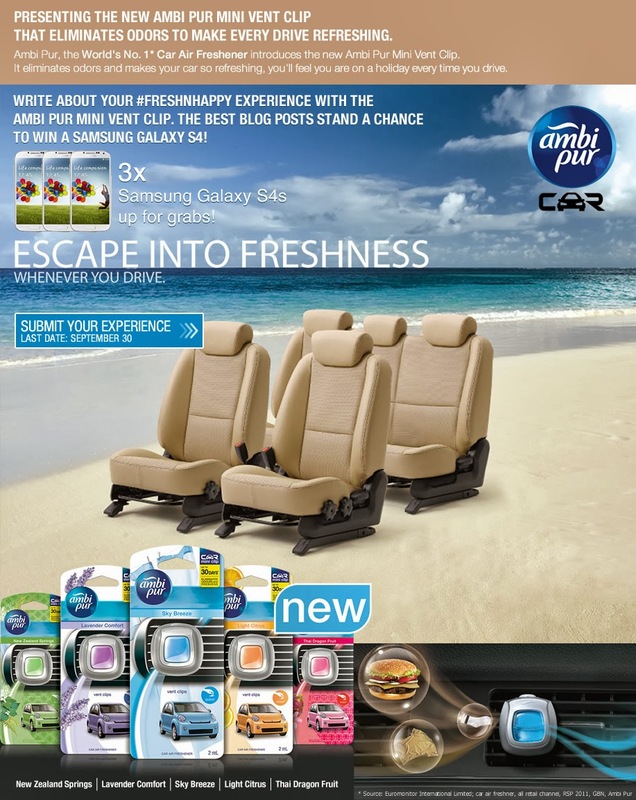 The Ambi Pur perfectly fitted in my car, and to be honest, it did add a certain degree of charm to the interior of my vehicle that was otherwise devoid of any adornment. The design was sleek and had an aesthetic appeal to it. My jealousy soon turned to pride. “Let’s go on a long drive,” my wife said. Now that felt like going back to the days when we were dating, and yes, it did feel good. Our marriage had hit a dead end, and I often felt guilty about the fact that I neglected her feelings owing to my own irritation over the lack of sense perceptions that I had. “ Isn't this the place?” My wife asked me in astonishment. I could see the smile gleaming in her eyes. We were back to where it had all begun. This was the place where we had confessed our love to each other, where I had proposed marriage, in the conventional ‘bend-on-your-knees’ manner, with a shining diamond ring. We were at the Paradise Spot, a high hilly point that overlooked the bustling city. Here, it was quiet and peaceful, its serenity a stark contrast to the maddening crowd that flowed below. We sat inside, the AC turned on, the Ambi Pur Mini Vent Clip reflecting her joyous mood. She hugged me, tears streaming down her cheeks. I held her tight. The Gods blessed our love, and it started to rain. The Ambi Pur Mini Vent clip changed my life. Love was back, and so was our happiness. We expect big changes to happen, but sometimes, it is these small moments that bring out the true magic of life. Ambi Pur will always hold a special place in my heart. It didn't teach me to smell, but it taught me to smile. Isn't that what we all need today? 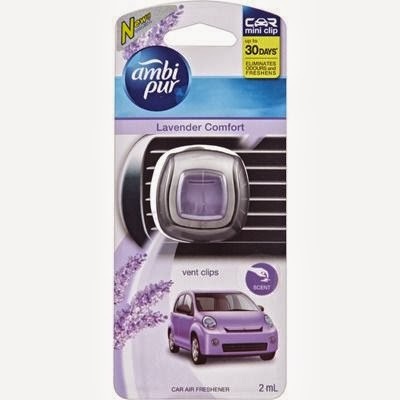 Now whenever I drive, the Ambi Pur Mini Vent Clip is always with me. I am not superstitious, but it has turned out to be my lucky charm. This is my official entry to "Escape Into Freshness" contest organized by Indiblogger in association with Ambi Pur. Click on the image below to read my review of She was my Girlfriend! Or ... I thought so!! by Deovart Verma and Prakash Shelke. Title: She was my Girlfriend! Or ... I thought so!! Rhyming with your footsteps in cold wintry flake. Shaking with my miseries, these eyes did burn. Oh, dear dear love, have I always been this bad? Why did we have to go through this damned darkened way? The flowers in our garden have started to wither. Why did we run away from this brash weather? Promises we made, why shall we part? The doors will clap, as I embrace your shadow. True love for you is what I have always felt. This Poem is shared with Theme Thursday - Doors. "There Is Something In English Bites! For You To Chew, Relish, and Cherish"
Manish Gupta is a banking professional. When not crunching numbers he is busy engaging with and examining the vagaries and idiosyncrasies of the English language. He also likes trivia, travelling, adventure sports, delving into human psychology, and giving professorial discourses to colleagues, family and friends, and practically anyone who can give him a patient hearing. 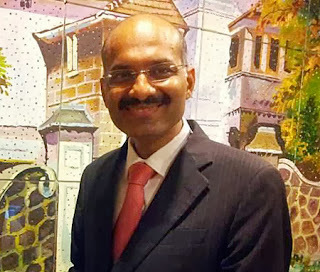 An engineering graduate from Punjab Engineering College, Chandigarh and an MBA from XLRI, Jamshedpur, he lives in Mumbai with his wife Deepali, a medical professional, and daughters Tamanna and Prakriti. To read the full review of English Bites! click here. I never knew that one can improve his/her vocabulary and word power in English until I came across 'English Bites!' Today, I am in conversation with Manish Gupta, the author of this brilliant book. Congratulations Manish on the success of English Bites! It was a pleasure reading it and I, along with the readers, would like to know more about you. Amrit, I thank you for reading and reviewing my book on your blog. I am glad that you liked it and found it useful in further fueling your love for the English language. How did you come up with this unique concept of increasing word power in such a fun and easy going manner? To answer this question, we need to get a little bit into my background. I grew up in Rohtak, a small and sleepy town in Haryana in the 1970s and 80s. The only English I spoke was in school and that too to respond to questions of my teachers in the class. I looked down at English as an alien tongue merely suited to the narrow field of academia and with no particular use once someone got into the real economy. As a result, I was horrible in all aspects of communication. My active vocabulary was extremely limited, pronunciations & spellings were terrible (as I refused to accept English as a non-phonetic language that it largely is), sentence construction was poor, and my fluency was severely compromised. The thought of improving my English started in Class XI after facing acute embarrassment in front of my third and final crush (and her family) when I could not speak even one correct sentence of English with a foreigner we met during a family vacation (and she did). This thought took a serious turn once I landed-up at Punjab Engineering College in Chandigarh and came face-to-face with far more fluent and erudite specimens from convent schools from metros and towns much bigger than my hometown. I also noticed how I used to get tongue-tied while attempting to make a small conversation in English with or even in front of the convent educated colleagues and that hurt…really badly. This thought was further strengthened when I realised to my horror that English had long outgrown the narrow confines of academia and become extremely relevant and in fact an absolute necessity in the real economy. So much so, that I would need to face group discussions and interviews where my proficiency in this language will be put to the real test to get into one of the best engineering jobs offered on campus. Having lived all my school life in disdain for this alien tongue, the grossly neglected subject of English made me realize its importance, its vastness, its complexity, and my far less than self proclaimed ‘photographic memory’ all at once. I needed something quick and in large doses to beat the convent educated types in their own game and seal the best job offered in the campus in my name and after gaining some industry experience, successfully compete with them once again for admission into a top-tier MBA program. Let me confess here that I had drifted towards an MBA after realizing that no specialist (read post-graduate) medico girl will consent to marry a Bachelor of Engineering in an arranged marriage situation I had found myself in after many crushed crushes. Marrying a medico was a childhood dream; the flexibility of working hours that profession allows (a must for raising a happy family) is only a later realization. Hence, I set aside the word lists, my failed attempts at mugging, and started creating interesting stories and anecdotes to make indelible imprints of this foreign language in my mind. This was the genesis of the book. It took a lot of research and creativity, but it was a matter of survivability. It was the only thing that could have rescued me from definite depression and elevated me to think and speak like an erudite gentleman. Once I started revising the book in 2008, I had two dominant thoughts in my mind. The first thought was that this is an opportunity to spread a culture of making teaching (not necessarily limited to language learning) less bookish and pedantic and making LEARNING more FUN. The second and equally, if not more, powerful thought was to put in my bit to make sure that language does not become a handicap for anyone to realize their ambitions and dreams! How was the entire process, right from the inception till the point the book got published? You may find it hard to believe but this manuscript was in the making for over 20 years and this has influenced a lot of content in the book. It started as an idea in my second year of engineering way back in 1989-1990 when two of my closet friends and I resolved to publish a book each before we turned 21. This, we agreed, had several advantages. § Till Class XII, I stayed in the campus of a girls’ college with our row house facing the girls’ hostel and had left this beautiful environment to join Mechanical Engineering at Punjab Engineering College, Chandigarh (a subject no girl dared to join in our year and many years before and after). While this led to a deep appreciation and understanding of how God re-balances our lives, it also made our resolve to attract attention from the few girls from other depts., amid very strong competition, even harder. What better way to attract attention than project our multi-faceted personalities, mastery over the English language (we had declared we were writing books in English medium), and great sense of humour (my book was supposed to be a FUN book). § Make us look precocious in the eyes of potential employers after Engineering, interviewers during the MBA admission process, and potential parents and other family members of the post-graduate medico girl I was destined to marry in an arranged marriage situation that I had found myself in after many crushed crushes. § Give us an additional source of annuity income plus a decent advance, with which to fund the MBA education. Annuity income stream was reserved for annual vacations in exotic foreign locales. I thought I had written a masterpiece by the time our final placements ended (spoiling my grades in the process) and was still a few months shy of turning 21. My other friends, who were writing on ‘quizzing’ and ‘poetry’, had pulled out of this pledge while they were still in their teens. My manuscript then hibernated for 20 years as I got busy with my first job at Tata Motors, an MBA from XLRI Jamshedpur, my banking career at a major multinational bank, and family life. The manuscript was preserved on a 3.5 inch diskette in Microsoft Word 2000 that refused to open on my old PC, when I thought of reviving my work of art in the year 2008. Fortunately, the handwritten version (‘manuscript’ in the real sense of the word) had survived well on loose sheets of paper, which I promptly transferred on my PC and started editing and expanding it at the same time. By the time I finished in 4 years (working on weekends), I had landed up re-writing the entire book. When it came to publishing, I realized that there has been an explosion of books in the Indian market in the past 3-4 years. Thus, a freshly minted author had little or no chance to get his manuscript a fair evaluation with the top publication house, unless the manuscript was, in their assessment, a masterpiece and/or immensely suitable as a script of a block-buster movie. I did send it to a few publication houses directly and their lack of responses despite passionate follow-ups told me it didn't fit either of these two categories. Fearing I will exhaust all the top names though this route, I sought the expert intervention of a literary agent. He critically assessed the quality and marketability of the manuscript before submitting it to the select set of publishers that are interested in publishing this genre of books. It took less than 4 months after submission of the manuscript to the literary agent for me to sign a publishing contract with Penguin Books India. Thereafter, life became hectic as I had to incorporate the extremely valid suggestions of my commissioning editor Shahnaz Siganporia, who made me connect my disparate chapters on different subjects into a single story that started from page 1 and ended at page 334. Then the copy editors Mudita Mubayi-Chauhan and Paromita Mohanchandra took over and made me relearn the rules of grammar and punctuation. Finally, after 9 months of hard labor, the book came to life. What do you feel lacks in our current education system? If you had the power, what changes would you like to see that would lead to a smoother and well planned system? In India, 4% of children never go to school, 42% drop out before they finish primary school, and 90% drop out before entering college. In government schools, as per one study, 25% of the teachers are absent on any given day. On the days they are present, only 50% are likely to be teaching at any given time. This is distressing and a sad reflection of the state of affairs in the vast majority of schools in our country. Private schools, by and large, provide better quality education, but they are beyond the reach of the masses. In my view, government needs to get out of school education, handover the existing infrastructure to responsible corporate houses, change laws that allow them to make a small profit, and subsidise their costs so that they become efficient and well-run institutions. The subsidy can be given directly to schools to allow them to provide varying levels of tuition waivers to the children of lower income families. Government can create a robust regulatory and supervisory framework (on the lines of TRAI, IRDA, SEBI, RBI, etc.) for the education sector. I am sure these measures will also help in improving the teaching methods and in elevating the standard and motivation levels of our teachers. Who are your role models in life? It is hard to pin-point one person and I feel blessed to have had a fairly well rounded support from family, teachers, friends, and books in the process of growing up. I draw inspiration from people who have conviction, passion, and clarity of thought; who have ability to work hard and courage to challenge the status-quo; who do not take themselves too seriously; and who spend some of their resources to achieve the higher purpose of life and some of their time playing with children and taking care of elders. Which writers do you admire the most? If you had the chance to re-live your life as someone else, who would you choose? I stick mostly to non-fiction and while there are too many favorite books and authors to list, I love the simple and relatable humor in books by Sam Levenson, the life skills taught by Dale Carnegie, and the seminal work on English etymology by Norman Lewis, Wilfred Funk, and Henry Hitchings. In the recent past, I have read and thoroughly enjoyed books on Mind, Passion, and Happiness by Dr. Tal Ben-Shahar, Dr. Carol S. Dweck, David Rock, and Ken Robinson. If I were to relive my life, I would not be able to choose anyone else. There are parts of others that I admire and get inspired by, but as a whole, I enjoy being myself. After 'English Bites!' what next? Will your next book focus also focus on the English Language or are you planning to bring forth another subject in an interesting manner? I guess when you write a book, you give it your all. My stock of ideas is now empty but it doesn’t mean that I will not write another book. Book sales and readers’ feedback and appreciation are extremely strong motivators in rapidly refilling one’s reservoir and giving new ideas and different perspectives to make more meaningful and interesting books. However, I would like to stick to writing in a similar genre (laugh as you learn). Feel strongly about and need to put in my bit to make sure that that language does not become a handicap for anyone to realize their ambitions and dreams! Till recently, I used to work as a Managing Director and Head of Sales for Treasury and Trade Solutions division of a major multinational bank in India. I have now decided to take a plunge in the field of education, training, consulting, and executive coaching and will shortly start working with an organization that works for the underprivileged children at the school level. In my personal life, I now live by the principle of learning one new skill every year (pity, I understood and adopted this only a few years ago) and have dabbled in adventure sports (like skiing, paragliding, bungee jumping) and getting off the beaten track while travelling. I plan to hone my moderate skills in singing, gardening, and cooking next. I also like to delve into human psychology and waiting for the day when someone will actually pay me for my wise counsel. If you had to change something in your book, what would that be? There are indeed a few more things I can do with the book. I would add chapters on sports, technology, fashion, and anything else the younger generation suggests. Since these additions will made the book too voluminous, I would split the book into two, each about 220-250 pages long. I would also like to add some more interesting aspects of my life so that the reader gets a more balanced dose of English language in a fun read. Finally, what would be your message to all the readers? The book is a crazy mix of facts, fiction, and real-life. It is full of amusing incidents, anecdotes, jokes, and a lot of interesting trivia. If any one of you believes that English language is a handicap (big or small) in your career advancement, your social acceptability, and affects your self confidence, you can take a look at English Bites! If you are a language nut, you can take a bite too. There is something in there for you too to chew, relish, and cherish. The book is the story of my life. It begins when I am in high school and much of the damage to my understanding and grip over the English language has already been done. It ends when, even after spending 20 years as a devoted student of the English language, and having achieved my goals of getting into engineering, securing one of the best jobs engineering has to offer, getting into a top-tier MBA program, a medico wife, kids attending convent school, and a reasonably senior position in a multinational bank, I am stumped by new discoveries every other day. So much so that I find some unfamiliar English words in the nursery rhymes of my kids. My extended student life as far as English language is concerned continues and it’s an exciting journey. Come, join the fun. Thanks a lot Manish for your time. All the best for your current and future goals. Thanks Amrit. I wish you all the very best….have a great life! 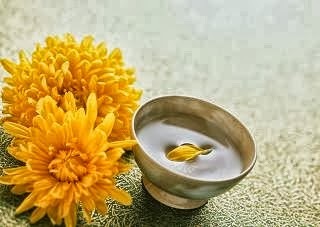 This Haiku is shared with Carpe Diem - Chooyoo (Chrysanthemum Festival). This Haiku is shared with Haiku Heights - Clue. This Haiku is shared with Haiku Heights - Sunday. A book that provides easy solutions to problems faced by language learners. English Bites! My Full pro of English Learning Formula is the story of a man who goes from being tongue-tied in school to becoming a smooth- talking banker. Through a series of hilarious personal adventures and misadventures, Manish Gupta provides easy solutions to problems faced by language learners. So, whether you're a vernacular speaker, a GRE/ GMAT/CAT/XAT aspirant or just a language nut, English Bites! will expand your vocabulary and improve your verbal ability. It may even help you love the English language a little more! Add over 1000 new words to your vocabulary and figure out easy and effective ways to expand your word bank. Combine etymology, mnemonics, jokes and anecdotes to better your understanding of the English language. Differentiate between similar sounding words and learn to use them right. Improve your general knowledge with trivia that spans brand names, automobiles, fine dining, love, money, banks, science and B-school jargon. Let me be honest … when I first heard of English Bites! I thought it would be just another plain old boring English guide, ready to serve aspirants of GRE and other such competitive examinations. True, this book will definitely enhance your vocabulary and add several new words in your mental dictionary; but boring? No definitely not; rather, far from it. English Bites! isn’t a long discourse on word building and language strengthening; rather it is a unique methodology to build up your vocabulary and improve your verbal skill. You don’t need to wrack your brain worrying about the complexities of this language anymore. You just need to sit back, relax, with a cup of coffee, and go lazily through the pages. And yeah, do keep a pen and notepad by your side. That’s recommended. The book is divided into several chapters, each dealing with different phases in the author’s life. Manish Gupta starts with his school days and moves on to engineering. Once he completes it, Manish is lured by the prospect of obtaining a management degree. Through his dedication and hard work, he gets into the prestigious management institute, XLRI. When he gets settled comfortably in his job and career, the author decides to get married and as planned by destiny, meets his match. They exchange marital vows, and after a few years, Manish and Deepali, his better half, are blessed with the amazing joys of parenthood. Doesn't this feel like reading a story? Where does learning English fit into this? I know these questions must be raining in your mind. Let me sum it up for you in one sentence - this is a story that will take your English skills to heightened glory. The author explains how he initially struggled with the language, often stumped by new words that he couldn't comprehend. However, with help of friends, he decides to delve deeper into this subject, and devises techniques that helped him enrich his knowledge on this matter. 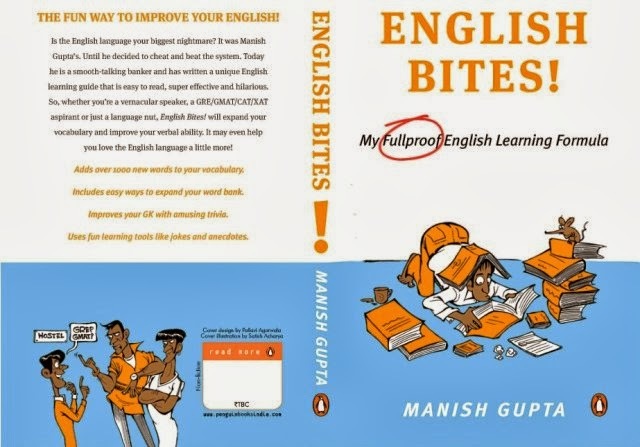 Manish Gupta collates these techniques and presents them in a lucid and coherent manner in English Bites! What really clicks is the style of narration. The flow is smooth, and at times you feel that the author is there right in front of you, sharing with you his experiences that are encased in the pages. The tone is quite informal and packed with humor, and that’s what I really find effective when dealing with a serious subject. Certainly, I wouldn't have liked another monotonous drag that could have further complicated the matter, instead of simplifying it. English is magic, and Manish performs his tricks effectively. It’s really interesting to know about the origins of several words that he has described in this book. For example, I have always believed that French Fries originated from France, but God, I was so wrong. The interesting anecdotes and snippets keep you engaged every moment, and take you through the brilliance of the English language. The chapters are well segmented, and cover a wide array of topics, ranging from food to medical, and even nursery rhymes. However, I do feel that the author should have written a separate chapter that would have dealt with his school life. In this book, there is just a brief mention on that, and not a dedicated section to it. I do have a complain though, and a serious one – Why didn’t Manish write this book earlier? I wish I didn’t have to wait so long to experience this delicious side of the English Language; but then, good things come to those who wait. 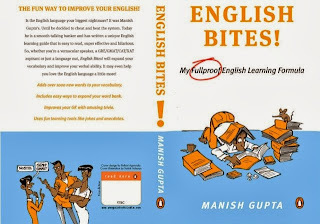 The tagline of the book says – “My Foolproof English Learning Formula.” I agree. I now look at the pen and notepad, and feel glad to see the innumerable new words that I had jotted down in the course of reading this book. Truly, one of the best books to increase your fluency and command over the language, as well as improve your general knowledge. This Poem is shared with Sunday Scribblings - Purpose. This Haiku is shared with Haiku Heights - Butter. This Haiku is shared with Haiku Heights - Dread. This Poem is shared with The Mag - 186. JAICO'S CREATIVE COMPANIES SERIES explores how today's great companies operate and inspires young readers to become the entrepreneurs and businessmen of tomorrow. Did you know - The Amazon we know today began in a garage with Jeff Bezos and a few employees developing software? We bring you the origins, leaders, growth and products of Amazon.com, and undisputed giant in the e-commerce market. Inspirations drive the world. They make us live, and believe in the goodness of fate. They provide us with the courage to take risks and steer safely through challenges. 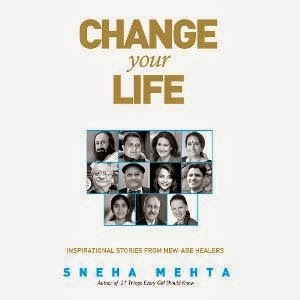 We all love to read stories that motivate, and inculcate within us the desire to excel. Jaico comes forward with its Young Readers Series to satiate our aspiring minds. The Story of Amazon.com, one of the offerings in this series, narrates the tale of the largest e-commerce site that is ruling the roost today. Sara Gilbert, the author, brings forth the origin and rise of Amazon.com, specifying key milestones that shaped the company and made it a market leader in its domain. 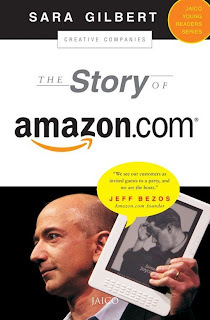 The book narrates the story of Jeff Bezos, who quit his lucrative job as Senior Vice President in a prominent New York investment company; the reason – he wanted to start a venture of his own. The internet was in boom then and he sensed a huge potential with the growth of the World Wide Web. Jeff had conceptualized an online book-store, and he was keen to put his ideas into practice. Books were easy to acquire, and catered to the taste of millions and billions of people across the globe. Jeff wanted to cash in on this idea before others too identified this opportunity. Amazon.com had high initial sales, but suffered losses in its first few years due to maintenance costs. Jeff had to undertake several measures to minimize the costs and maximize the profits. His efforts bore fruit, and soon Amazon.com emerged as the front runner in the field of e-shopping and e-commerce. Several exciting innovations helped the company march ahead of its competitors. The “Search Inside” and “Look Inside” features provided flexibility of browsing the books to the prospective buyers. They could now take a sneak peek into a few pages of the book before buying it. Another leap-ahead came in the form of eBooks. Amazon.com wanted the readers to enjoy eBooks in the same way as they marveled over paper books, and thus the Kindle was invented. A few years into its launch, and the Kindle soon became the most gifted item in the history of the company. As they say, the rest is history. Jeff announced another interesting project in 2005 named Blue Origin, something a space enthusiast will really look forward to. The project aims to ferry space tourists and scientists to and from outer space. Interesting! After ruling the earth, Amazon now looks all set to expand its territories beyond the horizon. And this makes Amazon what it is today. Jeff’s strong will, coupled with a set of enthusiastic employees, and a sure-win concoction of determination, hard work and perseverance have led to the success of this company. This is just the beginning, and with Jeff, the Mastermind, you can never fathom the heights that this firm can achieve. We can just wait, and watch, and in the meantime enjoy the wide range of services that Amazon has in offer for you, me, and everybody. Sara Gilbert presents a very insightful tale, and laced with interesting anecdotes, this quick read definitely deserves a place in your book shelf. Was it her beauty, or were the flowers too enamoring, I knew not; what I knew was that I lost my heart again the very instance I saw her. Love struck me from North, South, East and West, rendering my mind numb and my restrain futile, and all attempts to alienate myself from this feeling failed miserably. 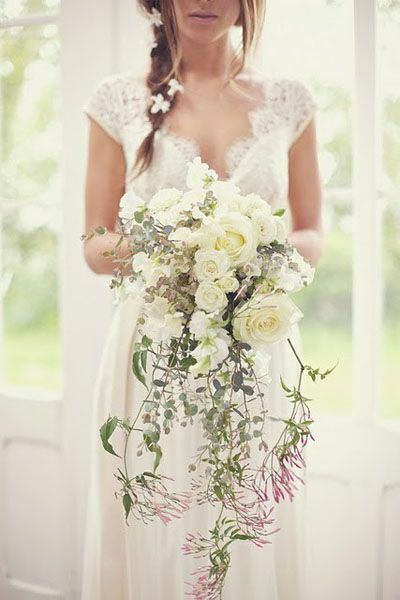 I looked at her,the flowers fresh with the morning dew, the fragrance entangled with her sweet scent, emanating an invigorating concoction that was difficult to resist. The urge to hug her, to kiss her silken skin, to play with her reddish lips was too strong, but unfortunately, my current state of existence denied me the pleasures of love and lust. As the final prayers were said, I smiled at her one last time; she, once my pretty wife; now, my poor widow. Five Sentence Fiction - Flowers. So I read H. G. Wells and thought, why not turn the idea into reality. ‘The Time Machine’ placed safely on my shelf, I leaped out of my bed in search of the ingredients needed to make the machine that would make Time Travel a reality. I searched into Google, but apart from some heavy technical documents filled with numerical formula and innumerable theories, I couldn't find anything worthwhile. 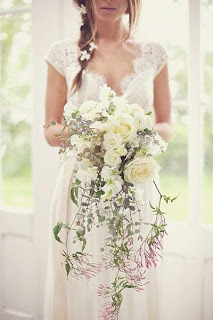 Like a desperate guy in search of a bride, I kept on going through the search results, until my eyes glittered with joy. “Joy Roy is supposedly believed to have invented the Joy Ride that takes you on an exciting journey to your past, and future,” – I clicked on the hyperlink, and the main website opened. “Hey Joy, Mr. Roy, Let’s Talk and don’t be shy, ‘cause I would need your time toy; just to execute my superb ploy,” – I dialed his number that was listed on the site. “I know you not, neither are you a lady hot, why should I be interested? 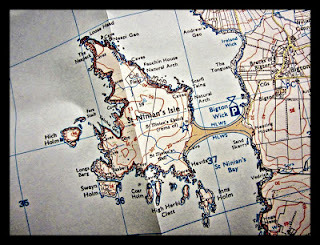 Just get lost, ‘m frustrated,” – his tone was harsh. And that was when I realized, money can soften even the harshest of voices. So the deal was settled. I borrowed the Time Machine and came straight to my room. I logged into Indiblogger and re-read the contest rules. Once I was ready, I sat on the driver’s seat of the machine, took a deep breath, and keyed in 2030 in the glowing metal year indicator. With lot of apprehension, I pressed the Start button. The machine reverberated with a loud hum, a whitish smoke enveloped me, and in an instant, the machine turned mute. Slowly, the smoke disappeared, and here I was, still stranded in my room. “What the hell? I am still here, at the same place,” I shouted. I picked up my cell phone and dialed Joy Roy’s number, but there was no response. To calm my agitated state of mind, I started my PC to log into Facebook. And then I saw. The clock at the bottom right corner of my PC was showing the date as 14th September 2030. Wow, this was unbelievable. I quickly logged into a famous shopping site, and God, wasn't I enamored! The interface looked completely out of this world, the layout, the icons, everything. I explored the pages more and realized how much shopping had changed. I took out my pen and writing pad and jotted down the points related to the new features. Switch on your webcam and you are good to go. The Shopping 2030 Live Scan portal automatically scans through the nooks and corners of your room and identifies the missing links. For example, if you have an electric guitar without an amplifier, the portal would immediately recommend you to buy one and show you the latest products on offer. When we go to a real shop, we often try out several stuffs before finally zeroing on one. Yeah, Shopping 2030 provides the real time experience in a virtual environment. I was going through a collection of Jackets when I was surprised to find the Try and Buy option. I clicked on it, and a 3D image emanated from the computer screen, resembling the jacket I was checking out. I stood up, went towards the reflection, and tried to fit myself in it. Yes, it was perfect. Sometimes we are not sure of what we really need. We intend to buy something, but then finally purchase a completely different product. This is where Voice Interactivity comes into play. You can directly communicate with the online store (not a representative, but the actual store), and voice out your needs and concerns. The solution will be right on your screen in a jiffy. You do not need to wait for days to receive your product. Shopping 2030 is stocked well in advance, which means the products get delivered within a few hours. The high speed bullet trains that run all across the country now ensure that shipping to different cities do not take much time. Isn't that exciting? At times we buy stuffs in abundance that are not actually a necessity. This leads to futile expenditure. What the 2030 Shopping does is, it serves as a shopping guardian. Based on your past shopping records, and your other personal details that have been gathered through the Government database, Shopping Guardian guides you in making your choices. When it notices you buying something that’s not really needed, a message is sent to you clearly explaining the reasons why you do not need that product. This truly was a mind boggling experience. With the points noted, I raced back to my home, back in 2013. Just 17 more years to go … I am waiting. Aren't you? This is my official entry to "The Future Of Shopping" contest organized by Indiblogger in association with eBay Check. Check out the official eBay Google Chrome Extension at bit.ly/eBayCheck_Extention. This Haiku is shared with Haiku Heights - River. This Poem is shared with Theme Thursday - Socks. This Haiku is shared with Haiku Heights - Holy. This Haiku is shared with Haiku Heights - Kitchen. Manish mostly writes fiction and this is his first book. His preferred genre is supernatural and horror. His other interests include travelling, wildlife and quizzing. He currently lives in Mumbai with wife Pratima and son Viaan. It isn't easy to write a horror story. You don’t just need a good plot, you have to create the scenes also; and that too not just in your mind, but in the minds of your readers as well. The words must create an aura of mystery, and should take the readers across into a world they fear, yet are addicted to. Yes, we all love horror stories, and a good scary piece can always be an addictive read. It’s another matter that we might prefer to sleep at night with the lights switched on after reading the stories. First thing first, and let’s begin with the cover. The design by CinnamonTeal Publishing is absolutely perfect, and fits right in sync with the theme of the anthology. It manages to create an eerie ambiance even before you start reading the first story, and stays rooted in that subconscious mind of yours. God, please don’t let this cover come into my dreams tonight. Nightmares of this sort can be scary. The book comprises of twelve short stories, and is a quick read. However, to feel the weight of the scenic words, I recommend slow reading. Get intimate with the images carved in each page, focus your thoughts towards it, and you can feel your heartbeats increasing. Though the book promises to be a horror fest, not all stories are scary. However, the author scores high with the uniqueness of the plot. Each tale has a different style of its own, and you will find various diverse elements in each of the stories. None of the stories are similar, and that’s a real achievement by the writer, considering the fact that we normally relate horror stories with ghosts and witches, thus narrowing the scope of finding unique subjects for every story. If we consider this book as an anthology of paranormal tales, that would be apt, rather than defining it in the narrow genre of horror. Some stories really stand out, my favorites being ‘Her Unkept Promise’, ‘The Greatest Dare Of All Time’, ‘The Disappearance of Tejas Sharma’ and ‘The Secret In The Photograph.’ Again, these might not be too scary but impressed me a lot with their exceptional supernatural plots. In fact, the twists brought out in almost all the stories were unimaginably good, and all credit for that goes to Manish. Before I conclude the review, I would like to admit that I loved the author’s diction. It’s always heartening to read an Indian writer who can express in such polished language. Perhaps, that’s what makes me wait for his next book now. Should you buy this? Definitely, but do expect it to be a paranormal collection rather than a scary horror journey. However, whatever your expectations, there is no way you can keep this book aside. 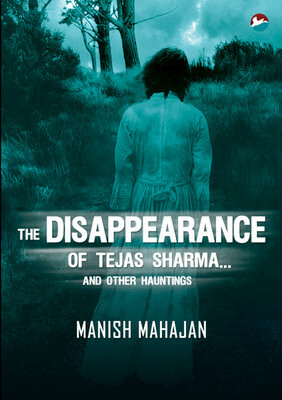 The magic of the plots, and Manish Mahajan’s brilliant storytelling style will keep you glued right till the end. This Haiku is shared with Haiku Heights - Garland. 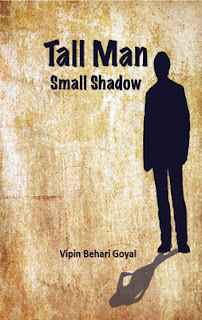 Tall Man Small Shadow provides a philosophical insight into the mysticism of life and existence. The novel is woven around the lives of several characters, who, quite enigmatically, are linked with each other. As a result, the happenings in their lives affect the other threaded connections as well. Vipin Behari Goyal, the author, tries to present a story with this unique concept of existentialism, and succeeds to score high in most parts. The characterization is the highlight of this story. Each of the characters have been defined prominently, and have important roles assigned to them in the plot. Anupam is the protagonist who loves to analyse the spiritual meaning of life and existence. He is a deep thinker and tries to comprehend the journey of life, and the meaning of death. Sulekha, his wife, is a quick thinker and an intelligent woman. She is well versed in the art of manipulation and devises strategies that make events appear as mere coincidences. Their daughter, Aalya, young and beautiful, is a student of research in English Literature. She wishes to pursue her PhD, and is guided by Seema. The student-teacher relationship gradually turns into a deep camaraderie, and they start trusting and confiding in each other. They explore the dimensions of love and relationships, often controversial, but invigorating and relaxing to them. Seema’s husband, Paul, is a drama director. He is a perfect partner to Seema and caters to all her needs. However, his inability to provide Seema with a child had created a void in her life. Sahil is the neighbor of Aalya. He secretly likes Aalya, but is afraid to delve deep into a relationship with her. The failure of his past love had left him insecure. Vipin debuts with an unconventional theme and succeeds in presenting the story in an easy and lucid manner. The events flow seamlessly, and the viewpoints presented by different characters for the same event provide multiple dimensions to the plot. You find yourself peeping into the minds of the characters and analyse how they perceive the world around them. However, the storytelling style often shifts from first person to third person narrative, which again doesn't augur well for the flow that the author had intended. This doesn't hamper much since the story progresses at a regular pace, but to an avid reader like me, this does come out as a chink that should have been rectified during the editing process. Also, there are a few grammatical hiccups which again threaten to stall the pace of the tale, and care should have been taken to eradicate them. The author tries hard to present his thoughts, and his sincerity and honesty reflect in the words. The novel is short and good for a quick read. However, to truly understand the philosophical ideas imbibed between the lines, you need to read it at a leisurely pace, perhaps only a few chapters at a time, and then replay the events in your mind with your eyes closed. You will find the characters come alive. "Sometimes, Waiting For The Right Time Or The Right Product Is A Better Bet"
If you haven’t read The Homing Pigeons, then, well, you should. It is one of those pieces of beauty that is always a delicious treat to any avid book reader. To read the full review of The Homing Pigeons, click here. 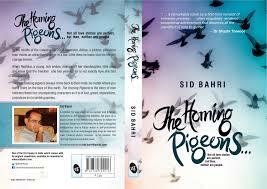 Today, I am in conversation with Sid Bahri, the author of The Homing Pigeons. Congratulations Sid on your debut novel. It was a pleasure reading it and we would like to know more about you. The Homing Pigeons have been receiving rave reviews everywhere. Did you expect such a heart-warming reception to your debut? I’m happy that the book is so well received. I’d be lying if I said I expected my book to be a dud but I didn’t expect this overwhelming response either. The Homing Pigeons took five years to be completed and published. It was written by night while I was working a day job. It was rejected by various publishers. Yet, when a reader or a reviewer appreciates it – it all seems worth it. How did you conceive the plot of The Homing Pigeons? Quite by accident. 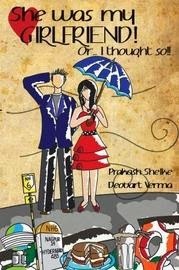 When the book started out in early 2008, it was only Aditya’s story and his journey during the recession. When I revived the book in 2012, I thought that I’d add a character of Radhika, who was a millionaire widow. It could have been a love story between a widow and a gigolo but I didn’t think I’d be able to do justice to that story. Also, because I was trying to catch up on Aditya’s story that was written earlier, I thought that I could build a story around their past and I did. The story has been told in first person narrative, alternating between the two characters. As a writer, how was this journey of shifting from one character to the other, understanding their point of views and presenting them distinctly? I don’t think that was half as challenging as writing in two separate tenses. It was highly distracting to shift from one tense to another. It also meant having to read the manuscript over and over again. Overall, writing the book has been an exceptionally enriching experience. I’ve tried to use a unique narrative technique and thankfully, it’s come out well. Tell us something about yourself, about your upbringing and your family. I grew up in Chandigarh and Delhi and spent most of my adult life in Delhi and Gurgaon. Today, I live in the hills of Ranikhet, having given up my career in the outsourcing industry to follow my passion of writing. I’ve been able to do it because of the support of my wife – Puneet. As a child, I was a voracious reader. I guess I inherited that from my mother. She encouraged me to read and maybe, that’s why I’ve been able to learn to write from a lot of authors. Which authors inspire you the most? Apart from authors, who are your role models? I like Jeffrey Archer, Ken Follett, and Sheldon amongst others. I read The Help by Kathryn Stockett while I was writing The Homing Pigeons and I knew that I had to change my narrative style into a first person account. I think in that sense, Kathryn Stockett would be my inspiration. I think Steve Jobs is another person that has left me inspired. Let’s imagine that your story is reproduced as a movie. If you are the film-maker, which Bollywood actors would you like to play the roles of Aditya and Radhika? How would you describe your whole journey right from the conceptualization of the plot to the publication? My journey into publishing has been fairly bumpy. The manuscript got rejected by various publishing houses before Srishti agreed to publish it. Even before that, it was a challenge to find the time to write whilst working in a full time job. I think one of the most defining moments in my journey as an author was when Mrs Bhagat – Chetan and Ketan Bhagat’s mother called me to tell me that she really liked the book. It’s those instances that make me feel that the pain was worth it. What would you like to say all aspiring writers? Writing a book is a very difficult job. It takes months, sometimes years to create a book and even then it may be rejected. There is only one way to deal with it – by being honest with yourself that your art is worth the market. I trashed the first book I wrote because it wasn’t worth a read. Sometimes, waiting for the right time or the right product is a better bet. What would be your message to the readers? I’d love to hear from you. I’m reachable on twitter, facebook, e-mail or my website. Your views about the book will help me improve. If you’ve liked or disliked the book, do drop me a line to tell me how I can give you better stuff in times to come. Finally, after The Homing Pigeons, what next? There is a sequel that’s being edited and then there is another book that refuses to complete itself. Right now, the promotions for The Homing Pigeons is taking up a lot of my time. I’m not being able to write as quickly as I normally would. Thanks a lot Sid for your time. All the best for your current and future goals. It’s been a pleasure answering the questions, Amrit. Thank you for having me over on your blog.